Broccoli Roll...and the most amazing smell! 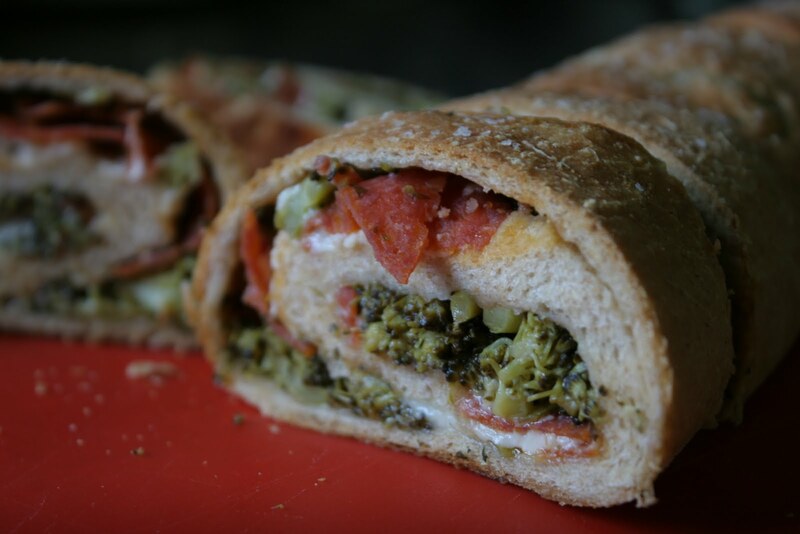 If you like broccoli, you will LOVE this broccoli roll. 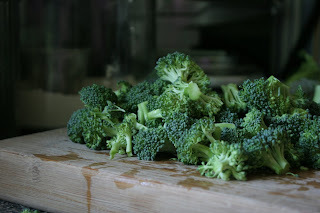 If you don't like broccoli, this recipe will make you a broccoli lover. Seriously. It is THAT good. Growing up (years before the Food Network) there was a cooking show on public television called Ciao Italia, with Mary Ann Esposito. 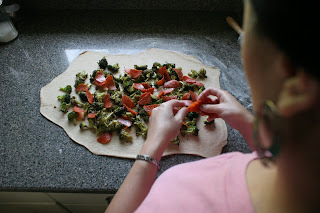 My mom loved to watch it, and would scramble to jot down the recipes she wanted to make. I am of the spoiled generation who can just go to the tv show's website to download recipes. 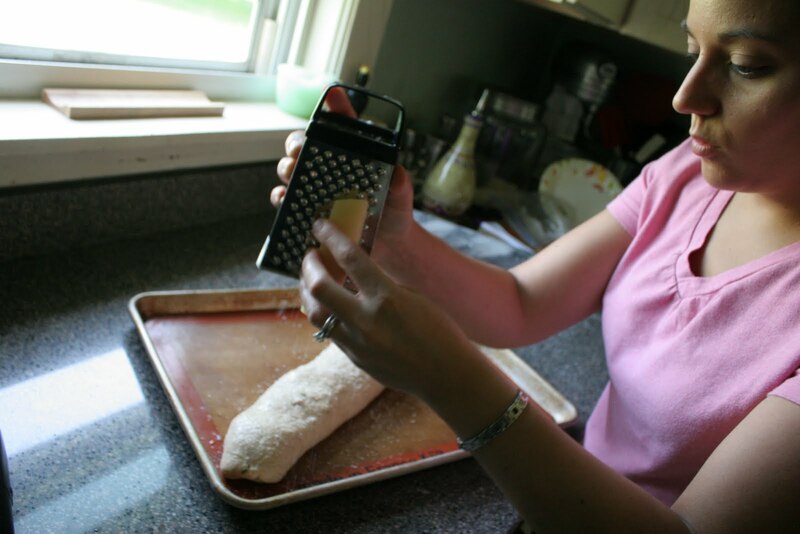 Regardless, this recipe was one that my mom made often, and it is amazing. The smells that will fill your house are amazing too. I always know when my Mom is making broccoli roll because I can smell it even before I enter the house. Preheat oven to 375 degrees. 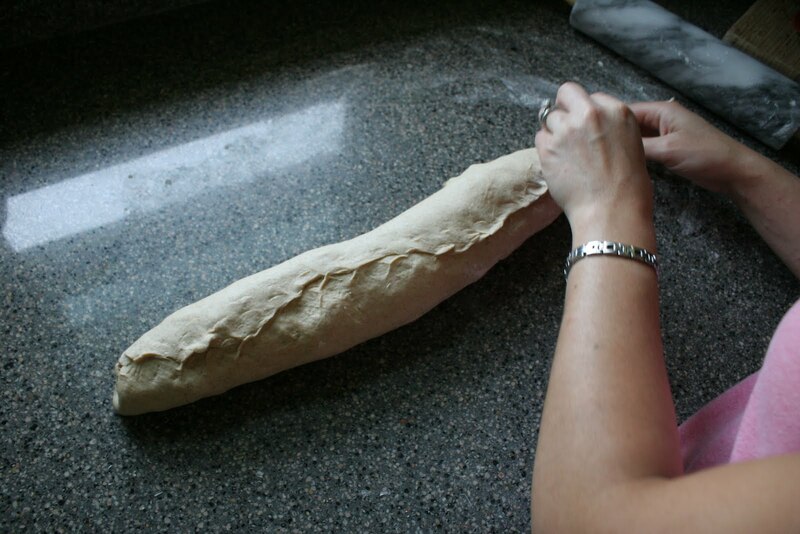 Roll out your dough on a lightly floured surface into a large rectangle, about 12 inches by 14 inches, and set aside. Heat 2-3 Tablespoons of olive oil in a large non-stick pan/skillet, over medium/high heat. 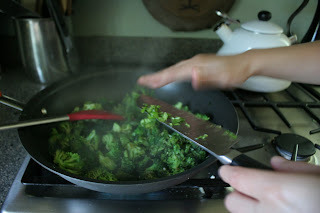 Add the chopped broccoli and minced garlic and cook until lightly softened, about 4 minutes. 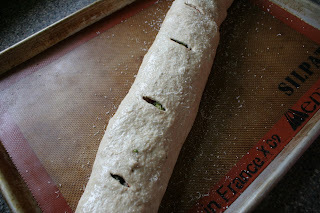 Add the red wine vinegar and step back. The smells that will arise will cause you to swear your undying love and devotion to my mother and Mary Ann Esposito. 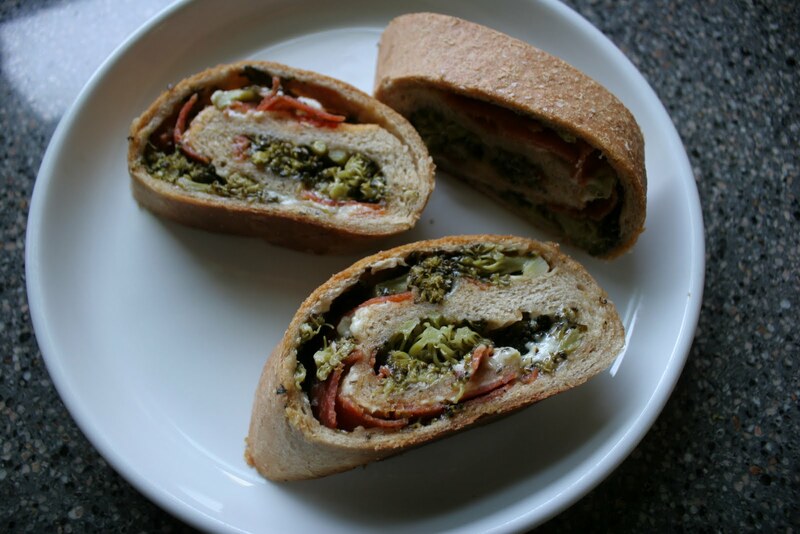 Seriously, the smells from the garlic and red wine vinegar will knock your socks off. At this point you can turn the heat to low. 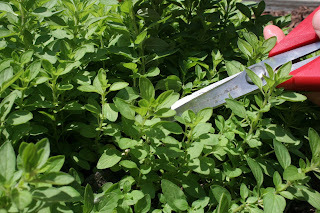 You can certainly use dried herbs instead of fresh, but if you have fresh oregano like mine, use fresh. I love having an herb garden. 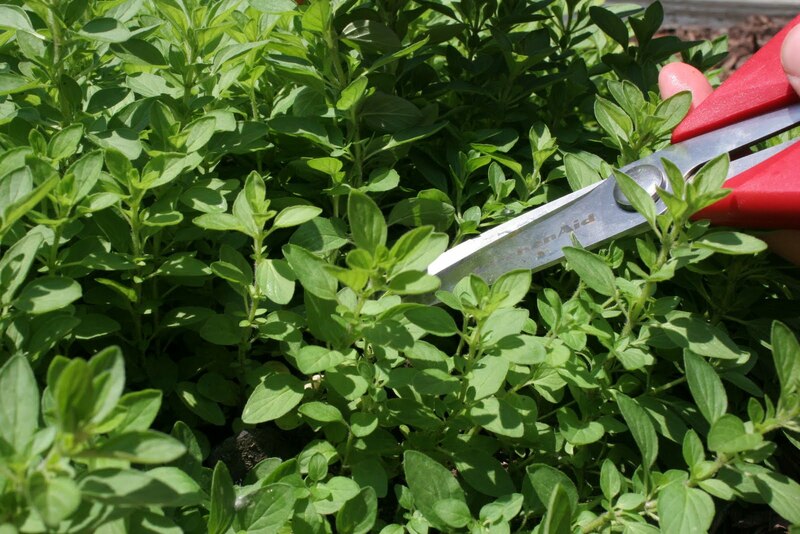 Chop the fresh herbs and add to pan. 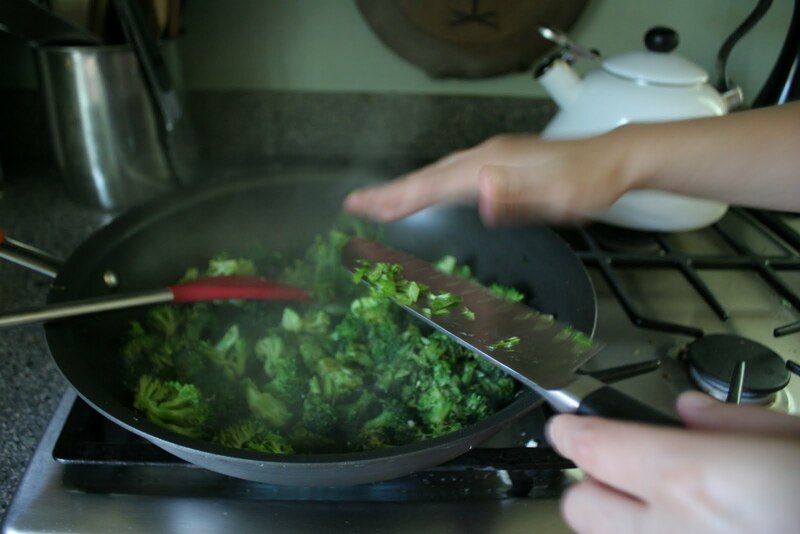 Stir in the herbs, cook for about two minutes and turn off the heat. 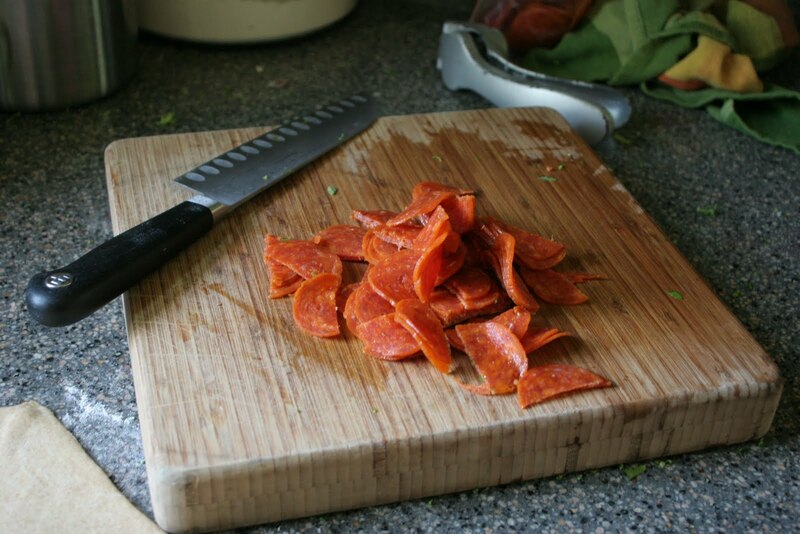 Chop pepperoni into halves or quarters. It is best to use thin pizza pepperoni for this recipe, but if you can use the larger deli sliced pepperoni too, just cut it into small pieces. 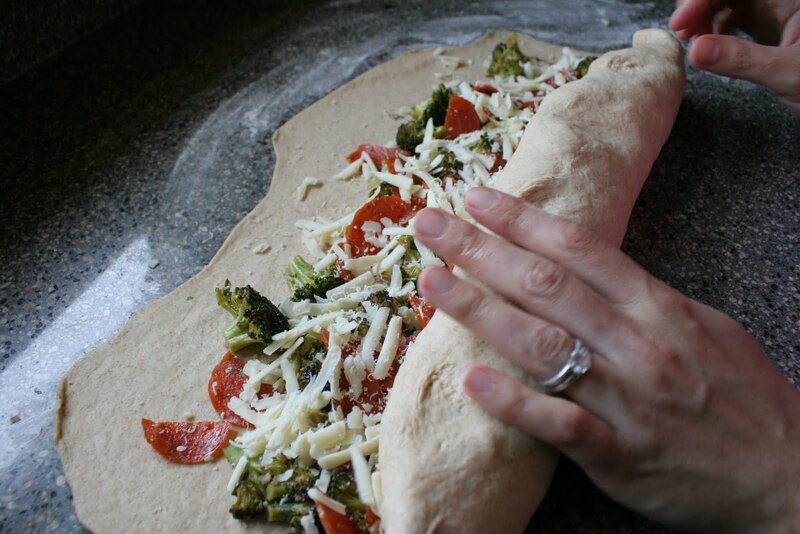 Back to your rolled out dough - brush the dough with 1 teaspoon of olive oil and spread the lightly cooled broccoli mixture evenly over the top, leaving a 1/2 inch border around the edges. 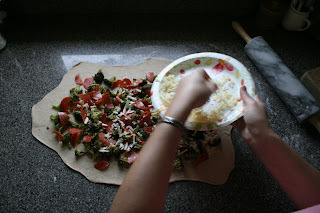 Spread the pepperoni over the broccoli. Next, sprinkle your freshly grated cheddar cheese and some of the Parmesan cheese. Season lightly with salt and pepper. Roll the dough up away from you, jelly roll style. Tuck the sides underneath. Pinch the seam shut and roll the dough back and forth on the counter to seal shut. 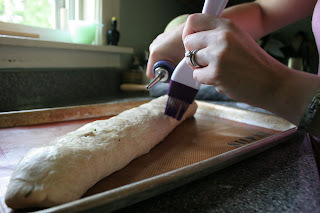 Place on a baking sheet, lined with a silpat or parchment paper. 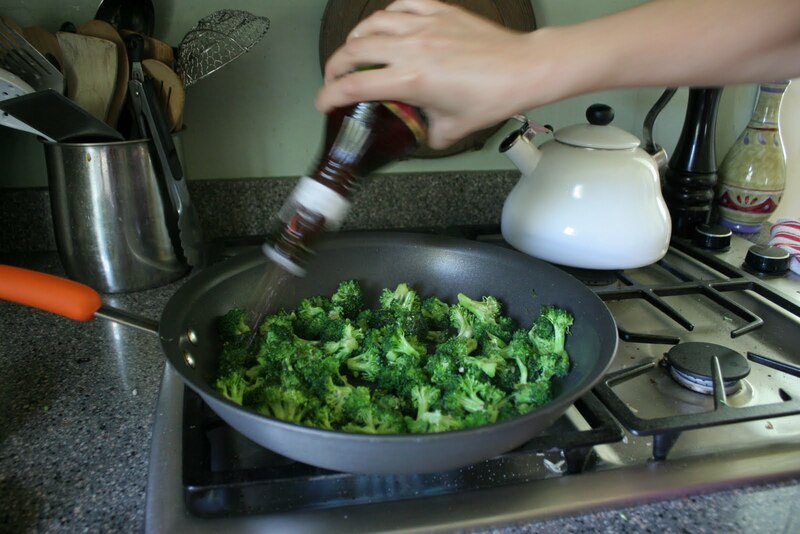 Brush the top with remaining teaspoon of olive oil. Sprinkle remaining Parmesan cheese over the top. Cut a few small slices for vents, and bake for 25 to 30 minutes, or until top is lightly browned and dough is cooked through. Let cool for at least 10 minutes before slicing into thick slices. This is so delicious. It even tastes great cold as leftovers the next day, if you have any. We usually don't, unless I make two. Ciao, Italia! All the awesome photography in this post compliments of Travis. Great step by step photos! Amazing looking! I'm sure it taste fabulous! I tried making this tonight. 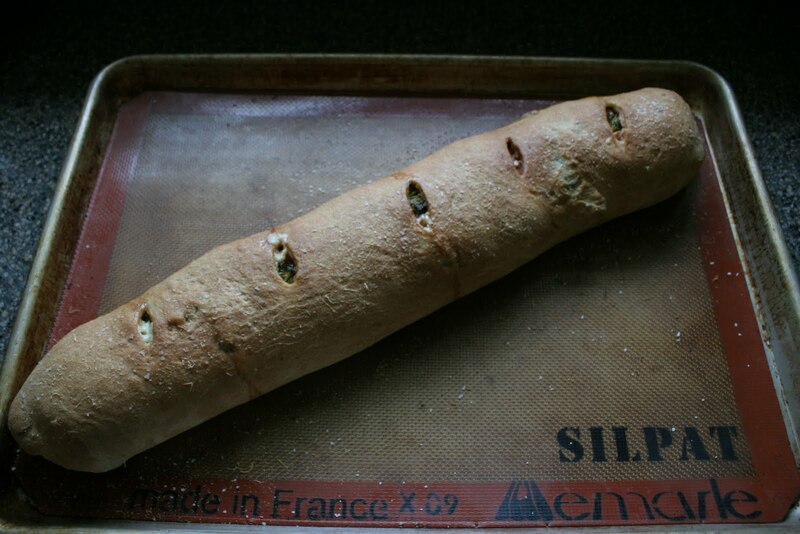 It was my first time making a yeast bread. And I'm not a fan of broccoli. Well... I wasn't. This turned out beautifully. I didn't have pepperoni so I used bacon but other than that, I followed the recipe exactly. I'm not scared to use yeast anymore and this will be a recipe I make often. Thank you to you and your Mom!